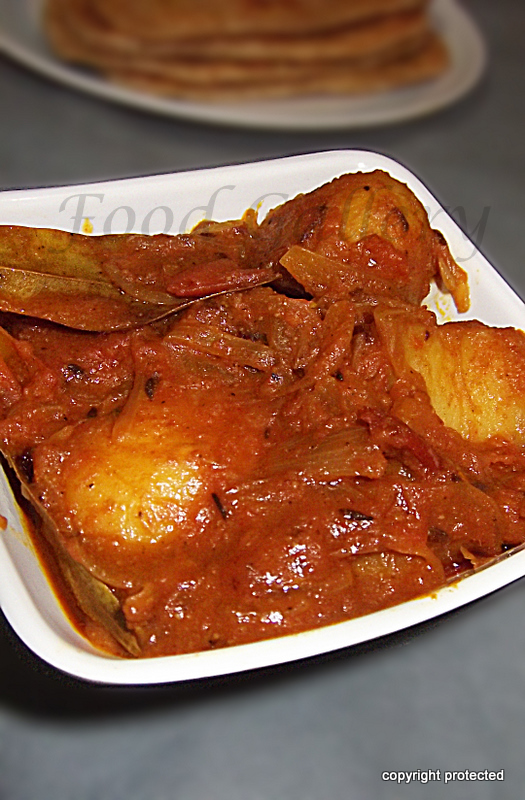 Aloo'r dum is a traditional Bengali food. Luchi with Aloo'r Dum is a popular combination served for breakfast/dinner or on special occasions like birthday in Bengal. 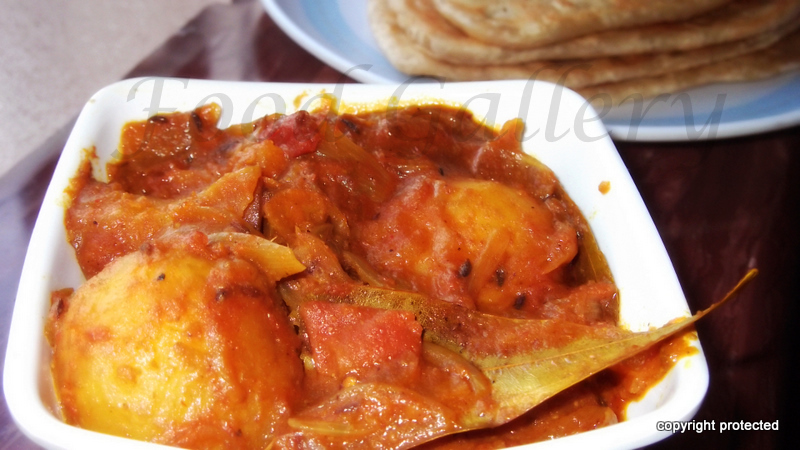 If you like tangy, spicy foods, then this is the one for you. Its beautiful flavors will leave you asking for moreee..
Wash and boil potatoes. Cool and peel them. In a bowl mix together the grated ginger, cumin powder, and red chilli powder with a little water and keep aside. Heat mustard oil in a pan to smoking point. Switch off, cool it and heat again. Add the potatoes and fry them to a golden brown and remove them on to a bowl. 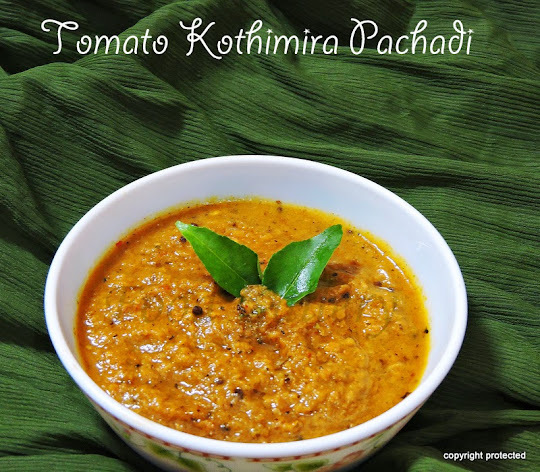 In the same oil, add cumin seeds, red chillies, bay leaves and fry till the cumin seeds splutter and change color. Add the onions and tomatoes and saute till the onions turn light brown and the tomatoes become soft and mushy. Add turmeric and the ginger mixed with the spice powders and saute for a couple of minutes till good smells comes. Add potatoes and mix well and add a little water (but not too much as the potatoes are already boiled). Cover with a lid and cook for a few minutes. We normally prefer the drier version, so I do not retain much gravy. Add garam masala powder 2 minutes before switching off. 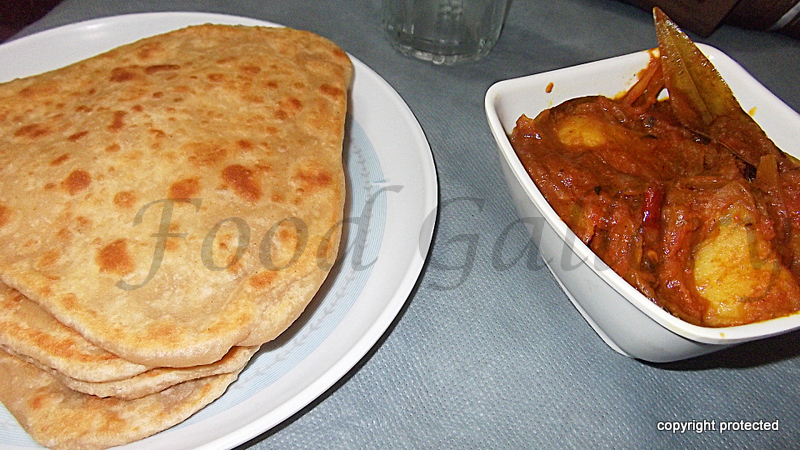 Serve Aloo Dum hot with rotis, parathas or luchi/puris. Hey Hima, Thank you for visiting my blog and for your valuable comments! You have a very nice space here, looking forward to drop by more often!